We be up all night partying at the bachelorette party! Add the bride's name and make of for everyone in your group! 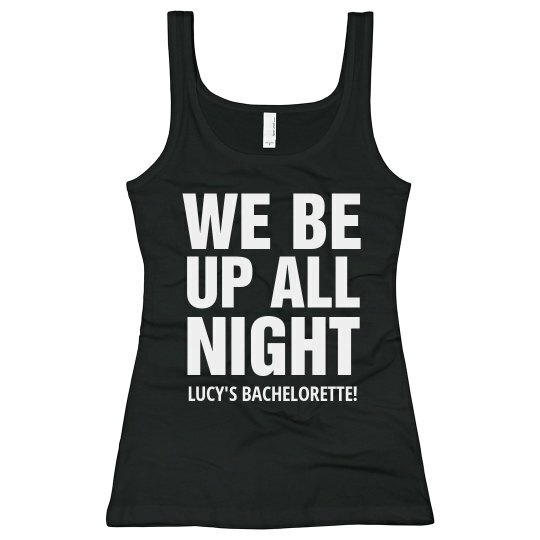 Custom Text: WE BE | UP ALL | NIGHT | LUCY'S BACHELORETTE!